E-commerce industry has seen lot of action in the last couple of years. As the sector grows, new players enter into the market and broaden the e-commerce horizon. As more and more and players foray into the segment, it battles its own set of problems. The industry has been plagued with various issues. ASSOCHAM which plays an active role in shaping the e-commerce landscape had a few suggestions for the Ministry of Commerce and Industry on “FDI policy on e-commerce sector”. ASSOCHAM suggests that services should not be a part of the definition of eCommerce since FDI is allowed in Services. 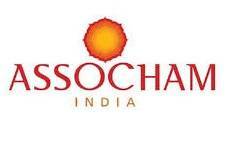 ASSOCHAM also suggests that the Definition should include that the transaction should occur through use of internet or any other electronic means. This will automatically include mobiles, tablets or any other electronic device. Regulatory framework for receipt of payments against sales by B2B e-commerce entities. ASSOCHAM suggests that since there is already The Payment and Settlement Systems Act, 2007 (PSS Act, 2007) of the Reserve Bank of India in place which governs the receipt of payments, therefore any other regulatory framework is not required. Framing of guidelines for B2B e-commerce. The basic objective of the Guidelines is to protect the buyer and seller in the eCommerce sector. ASSOCHAM suggests that both the buyers and sellers are well protected by the ecommerce marketplace provider; therefore there is no need to have any more guidelines. a) Goods/services made available for sale electronically on website should clearly mention the name of the seller. Yes. However, sellers name is already mentioned clearly on goods traded . b) Packaging and delivery of goods should be responsibility of the seller. eCommerce marketplace provider is facilitator who enables the MSME’s who are very small and scattered, to find nation wide consumers. They do not have market intelligence; no brand and credibility; no financial wherewithal to travel sometimes even beyond their town leave aside across the country; no logistics support to transport individual products. The marketplace provider provides the MSME with all of these. Therefore ASSOCHAM suggests that it should be left between the seller and marketplace provider to decide who will pack and deliver the goods. c) Payments should be collected by the seller. Largely the sellers comprise of SME’s which have limited knowledge, risk taking capabilities, risk calculating capabilities and they may only know their own language. Therefore it will become difficult for them to collect the payment from all the buyers across the country, where a marketplace service provider is the enabler and the facilitator with adequate know how. A marketplace provider undertakes this risk, as the guarantor collects payment of the sellers and remit them the amount as per the RBI guidelines, Payment and Settlement Act. Payments made or received in electronic form are highly regulated in India. For instance, the Payment and Settlement Systems Act, 2007 ("PSS Act") regulates operation and management of 'payment systems' in India. No person can run or operate a 'payment system' without prior authorization from the RBI in that regard. Prior to grant of such an authorization, the RBI requests for detailed information on the system provider, the system infrastructure, payment flows, security measures etc. and considers the application as per detailed criteria set out in the Payment and Settlement Systems Regulations, 2008. Master Circular on Credit Card , Debit Card and Rupee Denominated Co-branded Pre-paid Card Operations of Banks and Credit Card issuing NBFCs dated July 01, 2015. Therefore ASSOCHAM suggests that the payments should be collected by the ecommerce marketplace provider who will then remit it to the seller. d) The entities involved in e-commerce should not engage in any anti-competitive practices. e) Data of consumers should be sole property of seller and not of the website owner. The information of the customers includes his sensitive information like his credit card details, bank account details which he might not like to share with all. Further the MSME’s may not have adequate knowledge and expertise of Data Protection as per the law of the land. Therefore ASSOCHAM suggests that ownership of this sensitive data should be left between the Seller and eCommerce Marketplace Provider to decide among themselves. What should be the conditions for storage of goods by retailers in the warehouses of B2B e-commerce entities. Whether certain other conditions are required for B2B e-commerce. Suggestions on this issue may be given. ASSOCHAM suggests as eCommerce Marketplace provider is an aggregator who consolidates the scattered small sellers on one platform to widen their market and reach and there are individual laws that govern these transactions. Whether guidelines of FDI policy for Cash & Carry Wholesale Trading Wholesale Trading (as per Appendix) should also be applicable for B2B e-commerce. These guidelines may be suitably amended for the purposes of FDI policy on B2B e-commerce. ASSOCHAM suggests that as Cash and Carry and B2B are two different business models, and should be kept separately.